Tom Herman’s first recruiting class at Texas ended in disappointment in 2017 as the elite targets down the stretch chose other schools. Galena Park North Shore defensive end K’Lavon Chaisson chose LSU. Westlake offensive tackle Stephan Zabie picked UCLA. Former Cedar Park speedster Jav Guidy ended up at Utah. 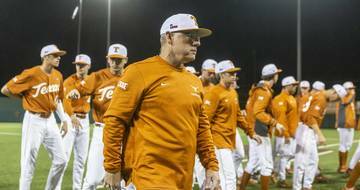 The class was ranked 25th in the nation and second in the Big 12. The 2017 class consisted of 18 members, which ended up as 17 after wide receiver Damion Miller didn’t qualify. 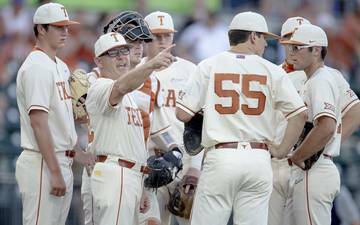 Texas signed only six 4-star prospects and not a single player in the top 10 of the Fabulous 55. One of those 4-stars was JUCO linebacker Gary Johnson. 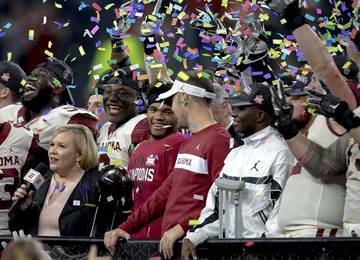 But that 2017 class is already surpassing expectations and there are a handful of players from the cycle readying to truly compete for spots on the two-deep this spring. 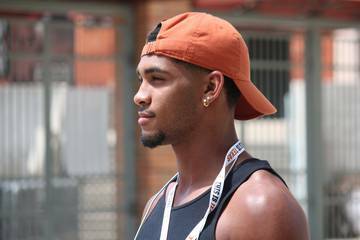 Players like Johnson, Sam Ehlinger, Daniel Young, Derek Kerstetter, Cade Brewer and Toneil Carter have established futures at Texas. Place-kicker Joshua Rowland struggled in his first season. Here are five players from that class that are primed to make a push for playing time in their first full spring at Texas. Graham was one of the five 4-stars to sign. He was a big-bodied defensive end who was underrated on the recruiting scene until his senior season. Graham was ranked No. 26 on the 2017 Fab 55. 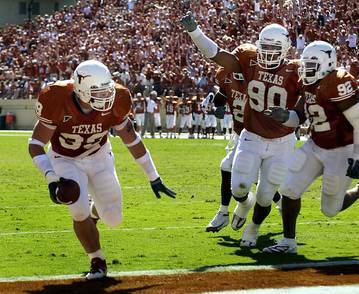 He recorded 11 sacks as a senior and chose the Longhorns over Oklahoma and TCU. He committed to Charlie Strong before Herman took the job. Graham forced his way onto the field as a freshman but expects a bigger role in his sophomore campaign. He’s added at least 30 pounds since arriving on campus and played in 12 games last season, mostly in spot duty behind Chris Nelson. Graham recorded six tackles, including two for loss. Nelson isn’t fully healthy entering spring practices and that will give Graham a chance to prove himself as a potential starter. Another big body on the defensive line is needed and Graham is a big, strong player with the ability to get to the quarterback at nearly 300 pounds. The departure of Holton Hill means a starting cornerback position is up for grabs. 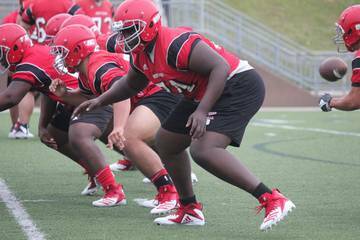 Thompson will be in competition for the starting spot opposite of Kris Boyd with fellow 2017 signee Kobe Boyce and 2018 signees Anthony Cook and Jalen Green. Thompson was ranked No. 50 on the Fab 55 and did see the field as a freshman. Thompson played in nine games, recording 13 tackles as a standout on special teams. He broke up one pass. That isn’t a lot of playing time, but it is more than most of his competition for the starting cornerback spot. Thompson is a tall, long cornerback with speed. He’ll get plenty of run this spring and that means opportunities to impress the coaching staff. 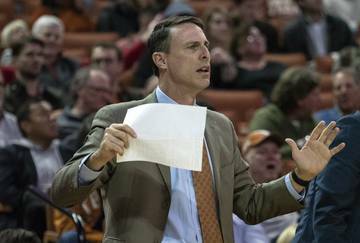 It’s unclear exactly where Bimage will play in Texas’ defense. He was an excellent defensive end in high school and was recruited as a linebacker by Herman’s staff. 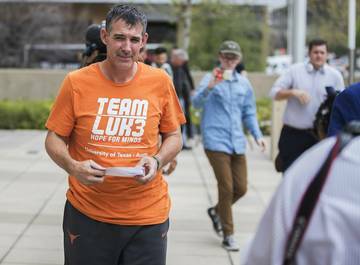 He originally committed to Houston before following Herman to Austin. Bimage played in 12 games as a freshman, but his time on the field was mostly on special teams. He can increase that role in his sophomore campaign. Bimage is one of the strongest players on the football team and could make an impact at defensive end or outside linebacker. He’s big enough to hold the point of attack and athletic enough to rush the passer on the edge, chase down ball carriers and cover running backs in space. Texas needs an influx of help along the offensive line and that won’t only come from the 2018 offseason. 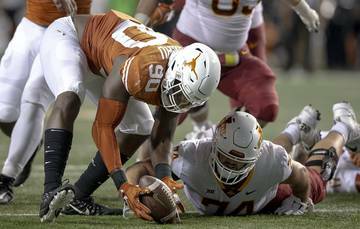 Texas added instant help with Rice grad transfer Calvin Anderson, who most are penciling in for the left tackle spot vacated by Connor Williams, and with JUCO transfer Mikey Grandy, who can now compete for a starting spot at right guard or right tackle. Cosmi is another player to throw in the mix at right tackle. He might take starting snaps at left tackle this spring and then compete for the starting spot with Anderson. Cosmi redshirted and remains a freshman with four years of eligibility. 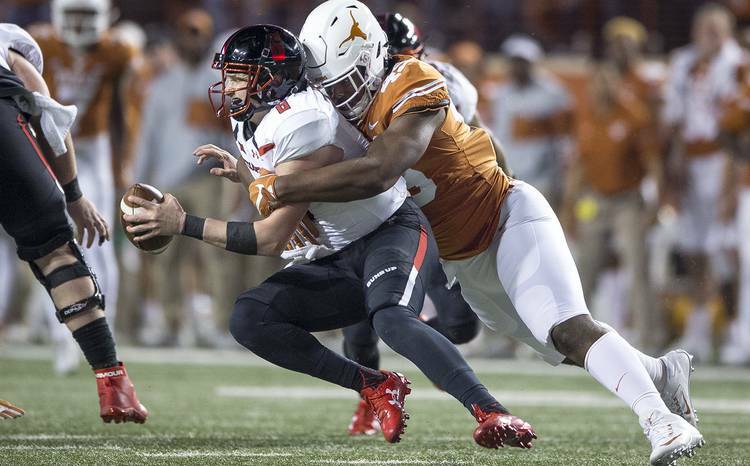 If he can provide depth at left tackle and be groomed into the starter once Anderson departs, that gives the Longhorns a plan at the position for the next four seasons. If Cosmi emerges as one of the five best linemen come August, he could find himself at right tackle competing with Kerstetter, a fellow 2017 signee. Some still think the best position for Kerstetter, who started at right tackle as a freshman, would be at guard. 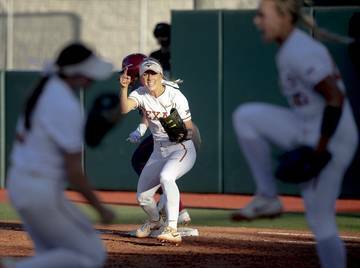 Off-the-field trouble cost Leitao a shot at contributing as a freshman. He was suspended for the first two games of the season and that allowed Brewer to make his mark and keep Leitao on the scout team. Brewer is out for the spring with an injury and that should allow Leitao an opportunity to prove why he was the higher-rated of the two in the 2017 cycle. Leitao is a former basketball player who signed with Texas late in the 2017 cycle. Scouts liked his upside, size and catching ability coming out of high school. Herman wants more depth and quality at tight end and Leitao needs to show that in the spring so he can compete for snaps with a healthy Brewer come the fall.